The sudden death of a very close friend or relative is one of the most devastating experiences a person can have. Such a loss is all the more devastating if it was due to the negligence of someone else. While there is nothing anyone can do to bring back your departed loved one, the law firm of McCORVEY LAW, LLC, can help you seek the financial compensation you need to help you meet expenses related to your loss, replace your lost income, and secure the future of those left behind. 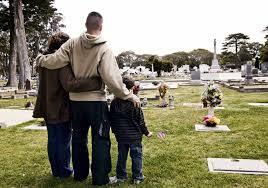 However, not just anyone can bring a cause of action for wrongful death. Generally, only the immediate family of the victim, including spouses, children, and parents, can bring a claim. In many instances, a clear link needs to be established between the victim and his or her survivors during the victim’s lifetime. At the opposite end, the insurance company will be doing its best to minimize the size of any settlement. It is therefore necessary to secure the services of an experienced and knowledgeable attorney to represent your family’s interests. You need an aggressive and tenacious advocate to represent you in these matters. Automobile accidents are believed to be the most common cause of wrongful death. Most accidents could have been prevented. If you lost a loved one because of a another driver’s negligence, another driver’s irresponsibility with alcohol or drugs, or another driver’s recklessness, we will work tirelessly to make sure the insurance company, the Court, and the jury understand the impact of your loss. If you have lost a loved one due to another person’s negligence or wrongful conduct, things are probably bad enough. You should not have to go through the emotional turmoil of dealing with an insurance company to convince them of the value of the loved one you lost in order to be fairly compensated. We can help. Call us today at 1-337-291-2431 or for a free confidential consultation click on the submit your case button above.